Franny’s toasted almond gelato isn’t just a thing you eat for dessert, it’s a spiritual/emotional journey that begins with memories of the Good Humor toasted almond bar and ends with a trip to Italy. I knew I had to make it. It’s a very unusual recipe for gelato (or ice cream) in that there’s no egg involved. Most of the ice creams I’ve made in the past involve creating a custard with eggs and then churning it in an ice cream maker. Here? You thicken milk and cream with Xanthan gum, the kind of ingredient you find on the side of a cereal box. What’s it doing in a cookbook that emphasizes the importance of shopping locally and seasonally? Well, turns out Xanthan gum is a powerful thickener that allows you to highlight the clean, clear flavors of the milk and cream that you use. It totally changes the mouthfeel of the gelato, which normally coats the tongue like a custard; this one kind of sits on your tongue and melts, though–and I’ll get to this in a bit–I feel like the recipe could’ve used a little less Xanthan. And, at the end, almonds. Then you pour those on to a parchment lined cookie sheet. 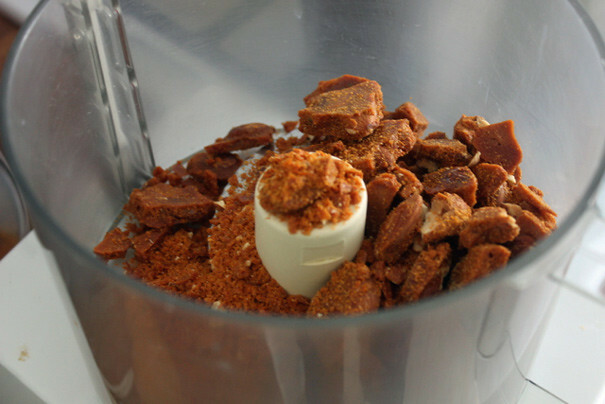 Once that stiffens up, you smash it up with a hammer or rolling pin and then pulverize it further in a food processor. 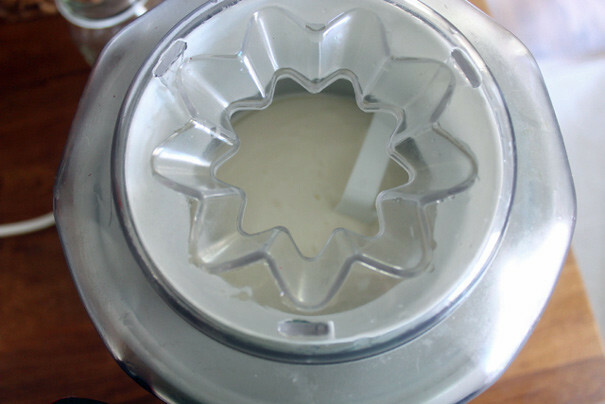 Then you make your gelato base by cooking the milk, cream and Xanthan gum with sugar until it’s thick. Then you stir in almond extract and, if you can find it, almond grappa. I couldn’t find almond grappa so I just used a little more almond extract. It worked great. Refrigerate that until it’s cold and then churn it. 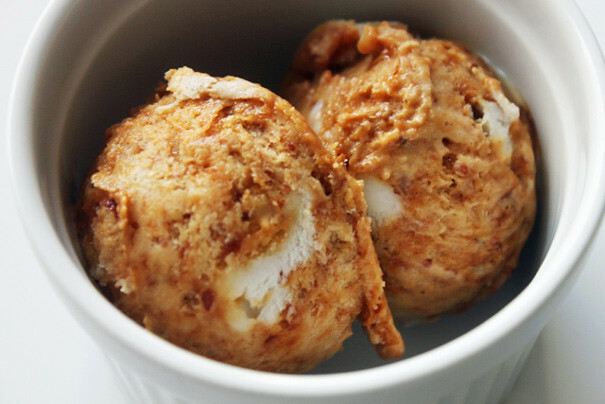 You stir in your praline, freeze it up and in a few hours you have scoopable, life-changing toasted almond gelato. Well life changing except for the fact that the texture was just a little too viscous for me. That’s a nice way of saying it reminded me–just a little bit–of snot. BUT: the flavor was killer good. Like, just as good as Franny’s good except for the missing almond grappa but really, I wouldn’t have known that was missing if I hadn’t made it myself. Everyone who had this loved it and I was the only one who kept bringing up the snot factor. So, my advice? Look at the recipe below, which is the one from the book, and maybe use a little less Xanthan gum. See what happens. My hunch is that it will still thicken up and be wonderful. And this gelato is wonderful. It’s all gone, it’s that wonderful. I could’ve eaten the whole tub myself kind of wonderful. 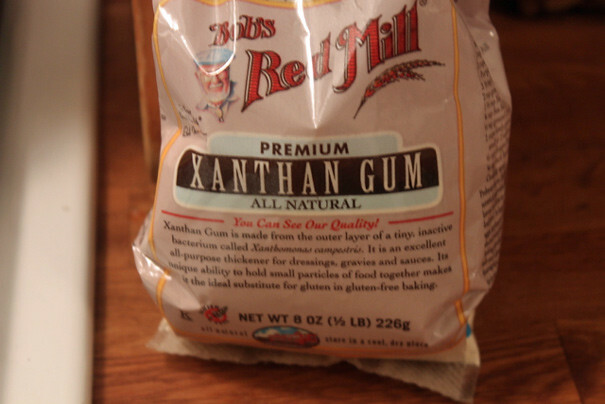 So spread forth, find yourself some Xanthan (they have it at Whole Foods) and be inspired to make gelato. It’s the kind of recipe that makes me excited to make ice cream again. Summary: The first half of the toasted almond gelato recipe. 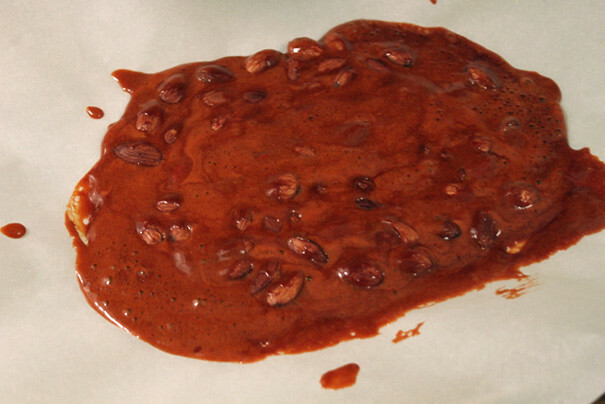 To make the praline: line a rimmed baking sheet with a Silpat or greased parchment paper. Sprinkle a little of the sugar in the bottom of a heavy skillet and set it over medium heat. 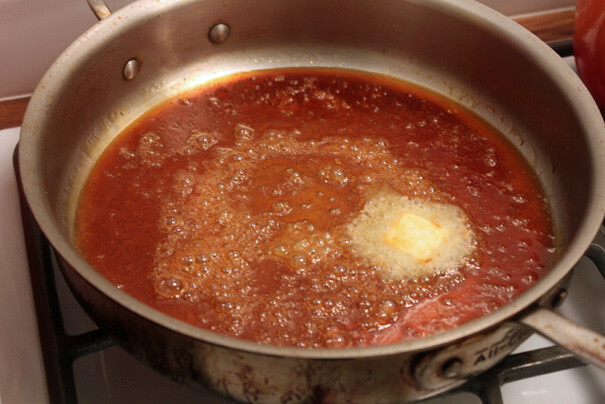 As it begins to melt and caramelize, add a little more and melt it, swirling the pan occasionally; continue until all the sugar is melted and the caramel has turned a uniform reddish brown. Turn off the heat and stir in the butter and the salt. As soon as the butter is incorporated, stir in the almonds and baking soda. Immediately scrape the mixture onto the lined baking sheet and spread into an even layer. Cool completely. Using a cleaver or a hammer (I used a rolling pin), break the cooled praline into chunks. 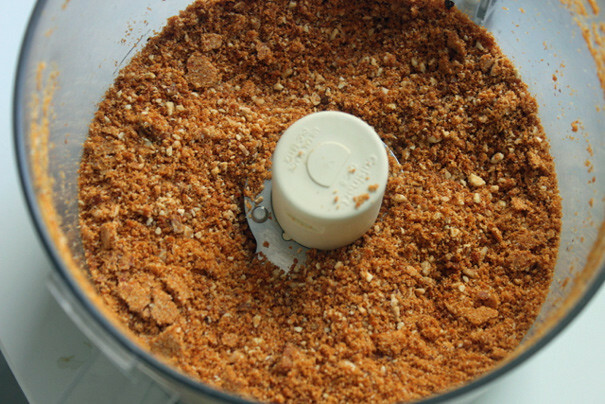 Transfer to a food processor and pulse until corn-kernal-sized pieces form but it is not completely ground. Set aside. Summary: From the Franny’s cookbook. 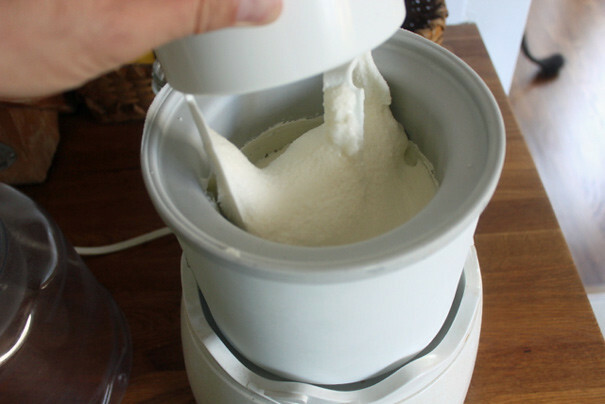 To make the gelato base: in a large heavy bottomed saucepan, whisk together the sugar, Xanthan gum, and salt. 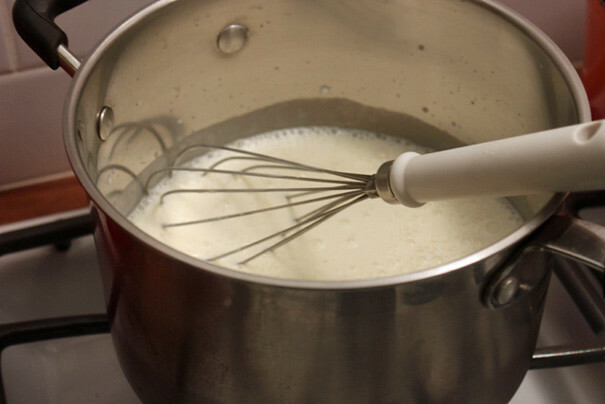 Slowly whisk in the milk and cream over medium heat and cook, whisking occasionally, until the mixture thickens, 5 to 10 minutes. Transfer to a bowl. Chill the mixture until it is completely cold, either set over an ice bath or in the refrigerator. Once it is cold, whisk in the almond extract.